When it comes to teenagers and money management, limiting spending is often the first thing that comes to mind. Parents try hard to help their teenagers grow beyond by teaching them about personal finance and money management; however, it's no easy task. Savings, compound interest, different types of accounts, credit cards — these are all complex topics that require time and dedication to integrate into your life. The 11 tips below will help parents work with teens so they can make smarter decisions when they head off to college or move out on their own. Below are 11 money management tips to discuss with your teenager. 1. Help them achieve a steady income. Learning to manage their money is a key part of teaching kids about personal finance. In order to get them learning, help them establish a steady income. Have them start applying for jobs or start giving them an allowance. If they're stuck, you can try inspiring them with stories of entrepreneurs who have built successful companies through a combination of creativity, leadership, and business-savvy. Once they know the rewards that can come with an understanding of business principles, they'll likely be motivated to start earning. 2. Have your teens spend only “their” money. When your teenager starts bringing in an income from a job or an allowance, they should start covering their own personal expenses. Doing so will teach them that they need to watch how much they spend and to stay within their budget. If they (and you) want to get tech-savvy, they can even test out a personal finance app, such as Mint, Qapital, or Acorns. MarketWatch has full reviews of these apps here, highlighting their unique features and value for different types of users. 3. Open a savings and checking account. The next step is to open a savings and/or checking account for them. They should make their own deposits, keep their account balanced to avoid overdraft fees, and, of course, save their money. While you are at it, you should also introduce them to ATMs and online banking. Helping your teens understand the differences between checking and savings will also introduce them to the concept of account fees and interest rates. 4. Show your teens how to create a personal budget. Helping your teenager put together a budget is one of the best things you can do for them. They will learn that spending money haphazardly will not help them reach their financial goals. In addition to the apps mentioned above in point #2, many computers have basic budgeting software built in. Apple, for example, has a Numbers app that includes personal budget templates to get you started. 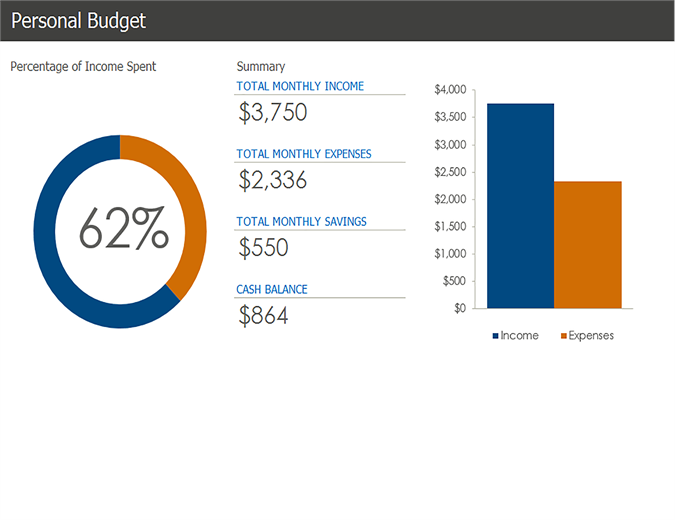 Office 365 also has a budget template that you can download. These templates are particularly useful if your teenager works well with visuals instead of plain numbers. Either way, no need to start from scratch — get going today. 5. Talk about the importance of savings with your teens. 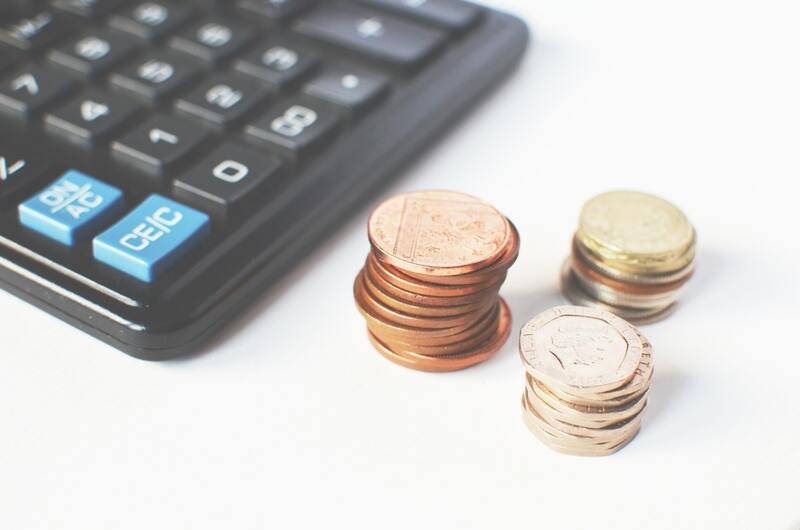 Savings is an essential part of teaching proper money management. 5-10 percent of their income should go towards savings. Explain to them how saving money now will lend itself to less financial worries down the road — and more flexibility to pursue their dreams. Being able to have open discussions about this helps demystify and normalize finance, which can be a black box for many people. Once you begin talking about these topics openly, the easier it will be to integrate financial management into a teen's daily routine. 6. Teach your teens about saving when shopping. Shopping presents another great opportunity to teach your teenager tips on how to save when they go to the grocery store or the mall. Help them search out the lowest price, so they know they are getting the best value possible. There are also tons of coupon apps and websites to show them. Now would also be a good time to talk about delayed gratification by waiting for something to go on sale or giving it at least 30 days before making a purchase as they may find they no longer want the item. Debt-wary families can also explore alternative financing for household items. Interest-free, pay-over-time options like Bread can help reduce up-front costs. 7. Spend less on luxury items and experiences. Spending less is always a good idea. Show your teenager how spending $20 instead of $30 on a dinner out will add $10 dollars to their savings. Better yet, show them how it can be just as fun to have a night in. This tip can help kill two birds with one stone — you can also help them learn to think outside the box and become more creative. Recipe testing, crafting, and other DIY projects can be an alternative, cost-effective means of fun. 8. Make a list before shopping — and stick to it. Making a list prior to going out shopping is a good idea to pass on to your teenager. This will teach them about avoiding impulse buys, which lead to breaking the budget and things they may not even need. Sticking to a shopping list can also build self-discipline in other areas by focusing on the things that are most important at that time — and not being distracted by secondary options. It’s very important to discuss what goals your teenager envisions for themselves in the future. At their age, a car is probably the first thing on their list, and they should pay for it. That would be an added line on the budget sheet. Education, on the other hand, is essential. Setting up a business, buying property, and investing in their personal growth in other ways are important in the early stages of adulthood. Exposing them to goal setting at this age shows them both vision and patience — two very important things they will need in life. 10. Go over their financial statements. Each month your teenager should be reviewing their financial statements for their savings or checking accounts. This will help them to evaluate how they spend their money and, in turn, make any changes necessary to lessen spending and boost savings. Getting a handle on how these documents function is great knowledge if you go into business down the line. Balance sheets, income statements, and cash flow statements are core components of financial strategy. If they become fluent in financial statements, they can begin to engage more with their representatives at the bank where they have their accounts. By asking questions and getting clarification on certain items, they will build real-world experience and perhaps even find new ways to gain financial rewards. 11. Talk about household finances. Giving a glimpse into your household finances is a great way to show your teenager the larger picture of personal finance. Discuss how much income is coming in and how you go about managing your monthly expenses along with daily costs and saving for retirement and a rainy day. You don't have to be an expert. Pointing out areas where you're also trying to improve will help them understand that learning about money management is a journey that you work on your entire life. Do you have tips you'd like to add to this list that have worked with teens in your household? Comment below!